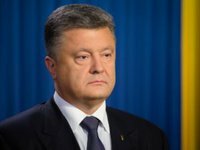 During a working meeting, President of Ukraine Petro Poroshenko and Prime Minister Volodymyr Groysman discussed the situation in Lviv, on the results of which the president entrusted the government to help the city authorities dealing with the problem, the press service of the presidential administration said. "Rubbish removing is the prerogative of local government. But when they are unable to solve this problem within their competence, when they turn their own economic helplessness into a political matter, and the security of citizens is under threat of ecological disaster, it is necessary to help the citizens and the city which is loved by tens of millions of Ukrainians and millions of foreign tourists," the president said. Today Groysman is paying a working visit to Lviv. As reported, Lviv experiences critical situation with the export of solid waste, and there are prerequisites for an environmental emergency. "In the morning, a meeting of the Commission on Emergency Situations of the city took place and we officially notified the state authorities that there was a critical situation with the export of solid waste in the city and there were prerequisites for the environmental emergency," Lviv Mayor Andriy Sadovy told the city residents on January 18.